Looking out at the valley behind the Umbrian hill town of Montone. Sarah, Francesca and Stephen in 1996 after we returned from a year in Italy. 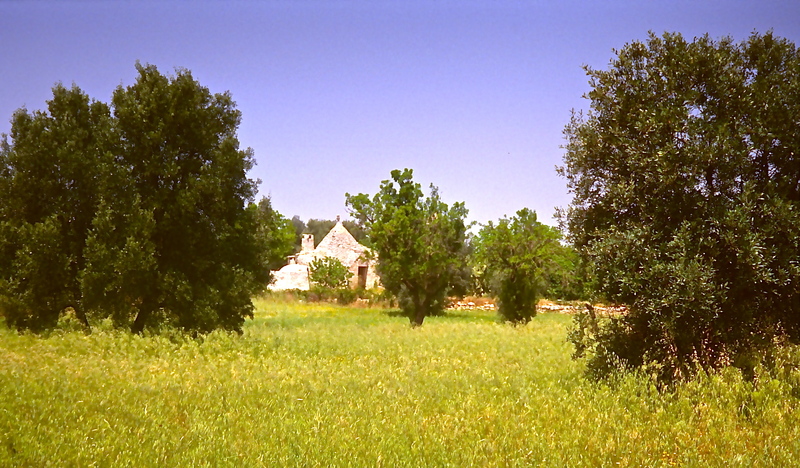 This is how our trullo looked on the day we found it. We’ve since planted more olive trees and done some other things.